Before the breakup of the Soviet Union, Pravda was synonymous with laughable propaganda and cover-ups. The Communist Party newspaper was akin to “Baghdad Bob,” the Iraqi Information Minister who denied that Saddam’s regime was collapsing even as American tanks rolled through the streets of Baghdad. Soviet-era Russian journalism is perhaps best exemplified by the 1986 Chernobyl nuclear disaster in which the Soviet regime delayed the announcement of the accident for two days while radiation spread around the world. Today, rather than being confined to Eastern European tabloids, Russian propaganda is beamed directly into American homes via the cable news channel, RT. RT was previously known as Russia Today and was started in 2005. The channel broadcasts in English, Arabic, Spanish, and, of course, Russian. RT is available around the world in over 100 countries, including the United States. RT America has bureaus in Washington, New York, Miami and Los Angeles. RT is not your father’s Russian propaganda. Shows on RT are hip and slickly produced, but are permeated by an anti-American perspective. Some segments seem to have a libertarian bent like a segment on Adam vs. the Man featuring a US law that makes it illegal to transport unpasteurized milk across state lines. It mentions that Ron Paul has introduced legislation to allow interstate sales of fresh milk. Others sound more like the ramblings of a far left blogger, such as a segment on the Alyona Show which discusses how the “US military agenda is in fact growing to possibly wage war on the world.” Another recent story featured Carlos Santana criticizing Georgia for its new immigration law. There is no broken English on RT. The accents are as American as any you would hear on CNN or Fox News because many of reporters and hosts are Americans. 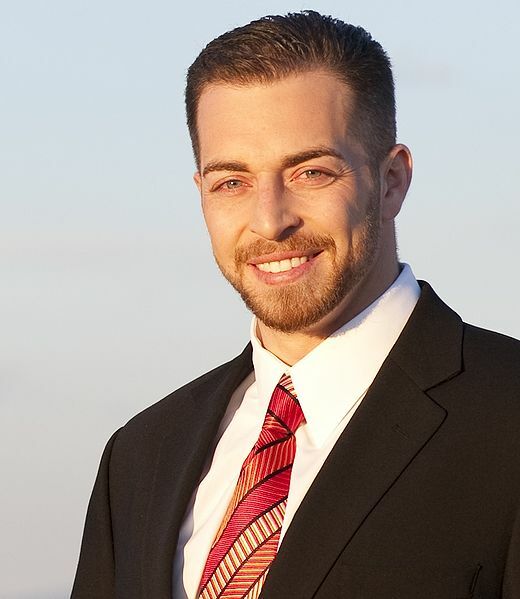 Adam Kokesh of Adam vs. the Man is a former Marine who received a less than honorable discharge after wearing his uniform to anti-war protests as a member of Iraq Veterans Against the War. Thom Hartman is a left-wing radio talk show host who also hosts The Big Picture on RT. Alyona Minkovski is a Russian-American who grew up California and majored in Political Science at UC Santa Cruz. She hosts the Alyona Show on RT. By appearances, the only thing that separates RT from the mainstream US media is a far left slant on the news that makes no pretense of being unbiased. It is, however, consistent. RT is as critical of President Obama and the Democrats as it is of the Republicans. It is consistently anti-American. The website also features other not-so-typical content. There are numerous links to information about Russia including the country’s history, cuisine, and tourist information. There are also Russian language tutorials, a social network, and a daily political cartoon, which pokes fun at national leaders from all over the world… with the exceptions of Vladimir Putin and Dmitri Medvedev. According to a Canadian Broadcasting Company story on RT (which is quoted on Wikipedia, but no longer available on the CBC website), the goal of RT is to present an “unbiased portrait of Russia” although in reality very little is said about Russia on RT America. To that end, the channel receives billions of rubles in funding from the Russian government. One of the most noticeable differences between RT and the major American networks is the almost total lack of commercials. In fact, the commercials on RT are almost exclusively for RT. Ironically, the Russian government and Vladimir Putin are also suspected of complicity in the deaths of more than twenty Russian journalists and dissidents since 2000. Even today, Russians still do not have the freedom to satirize Putin. RT is available on several American cable networks in some markets including Comcast, Cox, Verizon and Time Warner. However, most Americans who have seen RT have probably done so in a hotel. Many hotel television channel selections include RT. In Atlanta, you can see it at the Renaissance Atlanta Airport, the Westin Atlanta North, the Sheraton Gateway, and the Wyndham Garden Downtown among others. RT’s programming is streamed live on RT.com for those whose cable companies do not carry the network.